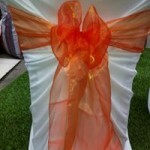 Chair cover hire is one of the simplest and most effective ways to style your event. 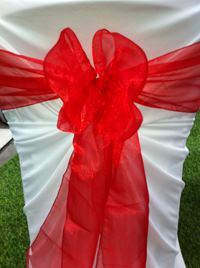 Our white chair covers will transform any old, boring or dull looking chairs into a formal chair fit for a wedding or special occasion. 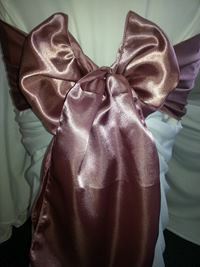 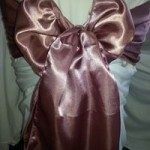 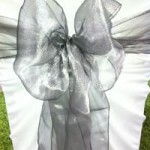 Add a organza or satin sash to complete the look! 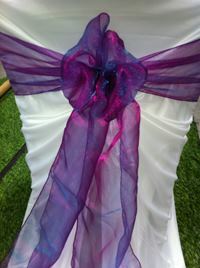 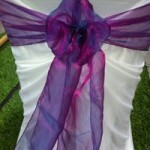 If you are looking for something a little more different for your wedding chairs try our chiffon chair shawl. 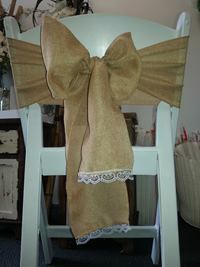 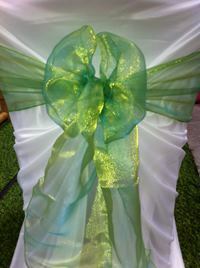 The chair shawl can be used on your chairs for your wedding ceremony or you can decorate your reception chairs with them. 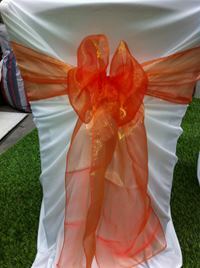 Flowers in the back of your chair covers can also add to the total effect and make your wedding chairs look amazing. 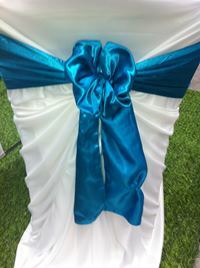 Our Chair covers are available as a DIY option for you to pick up from us or we can deliver and set up all the chair covers up for you. 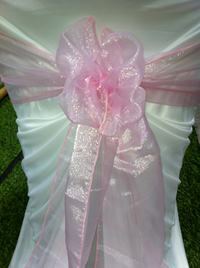 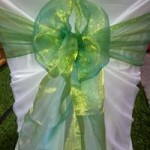 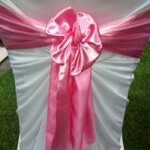 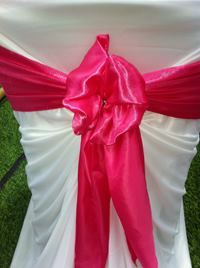 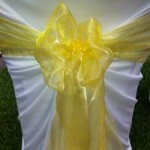 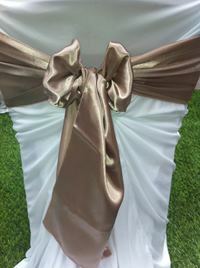 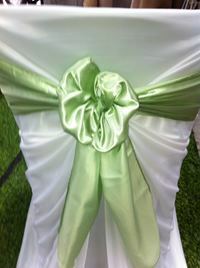 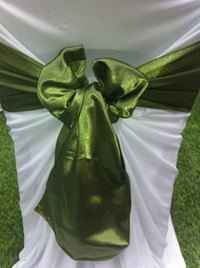 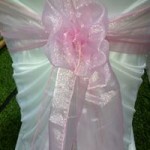 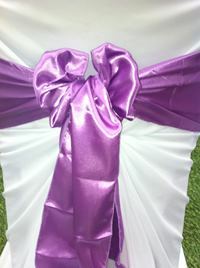 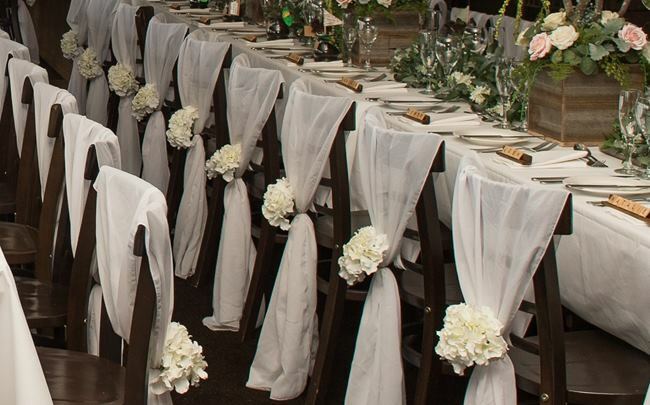 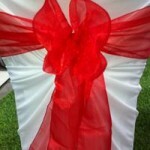 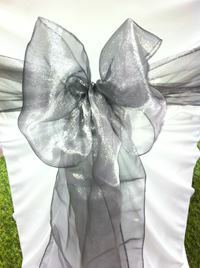 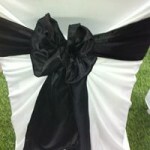 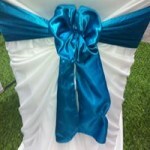 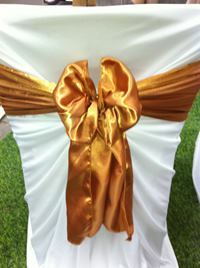 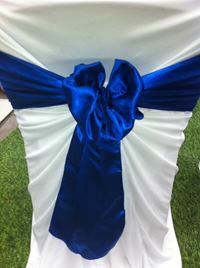 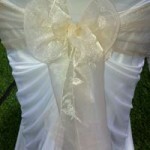 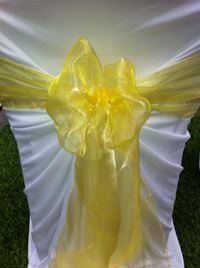 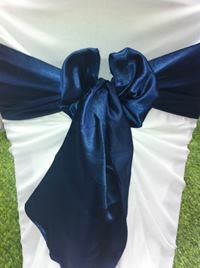 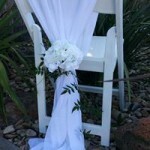 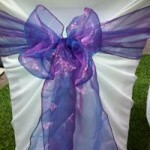 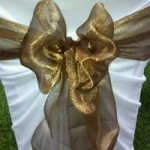 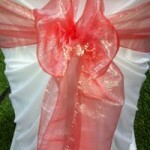 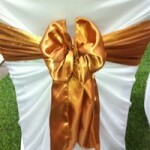 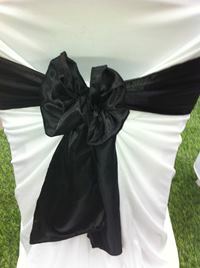 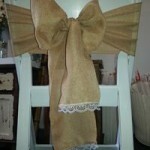 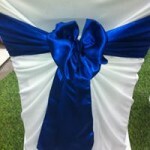 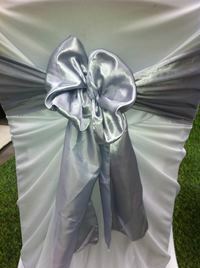 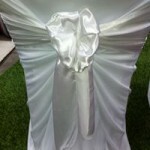 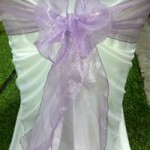 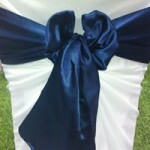 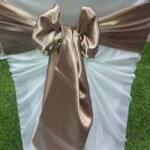 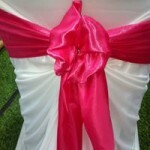 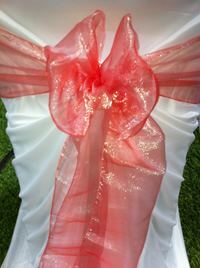 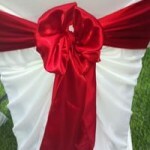 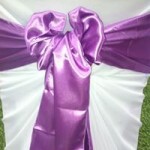 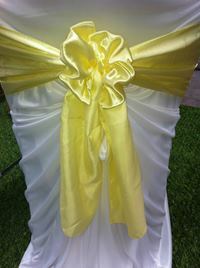 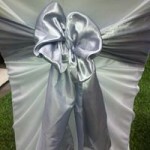 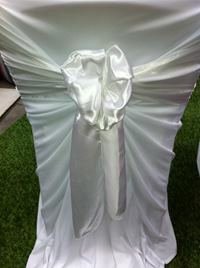 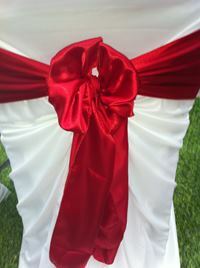 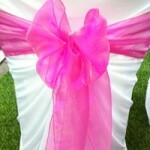 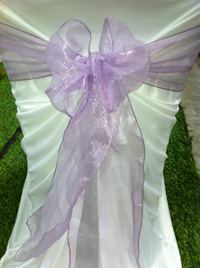 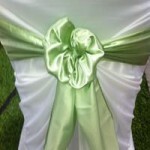 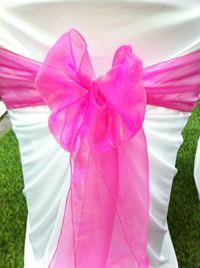 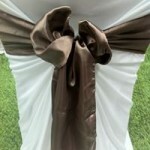 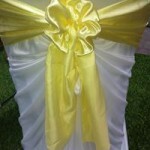 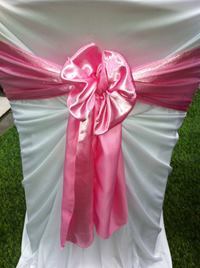 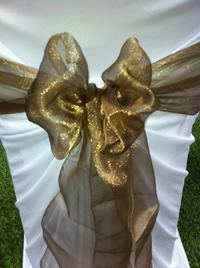 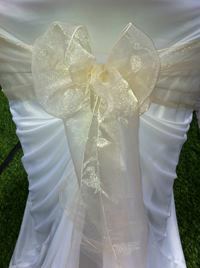 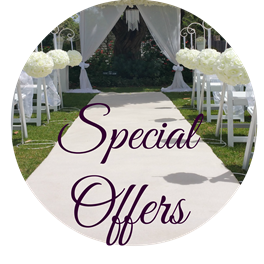 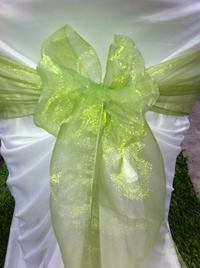 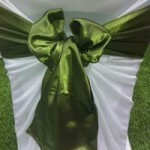 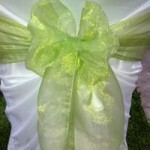 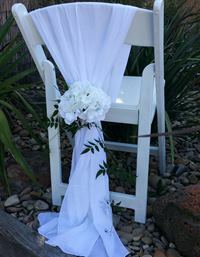 White Chair cover hire is $3.50 each this includes the chair sash. 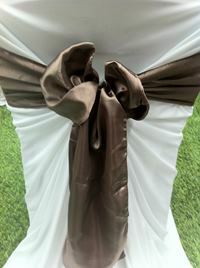 Chair covers can be delivered and set up in Melbourne, Gippsland, Geelong & the Surf Coast, Mornington Peninsula, Bellarine Peninsula, Yarra ranges and surrounding areas, We are happy to set up your chair covers for you at almost any location from Gippsland through to the Surf Coast and everywhere in between. 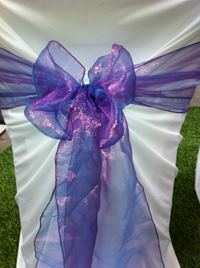 For those of you who would like to hire chair covers as a DIY option, We are located in Hallam for pick ups.